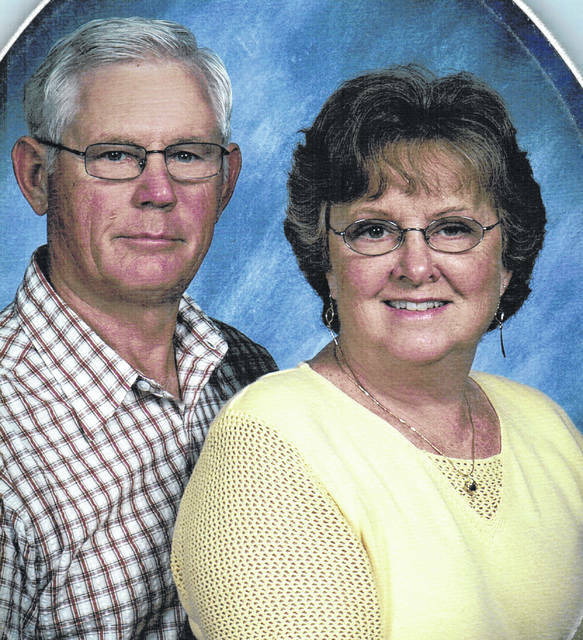 Gailen and Jeanne (Evans) Zook of St. Paris will celebrate their 60th anniversary Oct. 4. They were married on that date in 1958 by the Rev. Forest Ashcraft at the Rosewood United Methodist Church. They have three children, Rodger (Connie), Tony (Paula) and Jeff (Carole) Zook. They have eight grandchildren and four great-grandchildren. The couple farm the family farm with the help of their three sons. Mr. Zook is retired from Navistar, and Mrs. Zook is retired from Jeanne’s Beauty Shop.